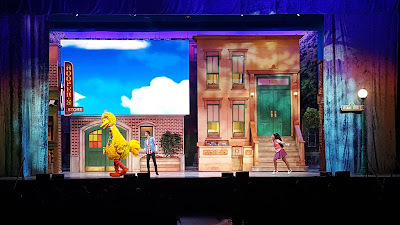 This past weekend was a great one, being that I was able to take the kids to see Sesame Street Live! Let's Party! As I have mentioned before, Savannah LOVES Elmo, so I was thrilled when I got the invitation to go check out their live show. I was worried for a bit, since Savannah wasn't feeling well... but the crew on Sesame Street must have made her feel better! FTC Compliant Review Policy: The product(s) featured in this review were provided free of cost to me by the manufacturer or reprenting PR agency for the sole purpose of product testing. Opinions expressed are my own and were not influenced by monetary compensation. What better time to give, than now? So happy to be able to share a great thing going on over at Zulily! You know how much we love books, so this is perfect for us! 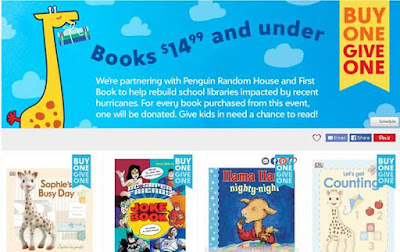 Let me tell you this, while I love sharing this about the Buy One, Give One Book special, make sure you check out Zulily for all your Christmas gift ideas! They have so much more than just books and you are sure to find a great deal!